Brachial plexus injury due to shoulder dystocia is one of the most common lawsuits involving obstetric care, only a bit less common than birth asphyxia. These injuries frequently occur because of too much pressure applied at delivery. Sometimes, shoulder dystocia may be avoided with a cesarean section. 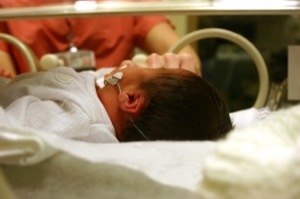 Some women are at a higher risk than others for shoulder dystocia problems. A woman with gestational diabetes, for example, is perhaps more at risk for shoulder dystocia because the ratio of thorax and shoulder size to head volume is usually larger in diabetic women. Another possible indicator of higher risk for shoulder dystocia involves the size of the fetus compared to normal for the stage of development. When this appears to be a concern the physician should perform an ultrasound to attempt to determine the size of the fetus. The likelihood of possible shoulder dystocia increases with the size of the fetus. Weighed against the decision to have a cesarean section is the inherent risks involved for the mother. These could include more bleeding than normal, possible infection, injury to other organs and tissues, blood clots and other potential complications. For this reason, it is important to determine whether the physician provided good information regarding the relative risks of each procedure. If the second stage of labor is longer than normal, shoulder dystocia may become more problematical. Similarly, if a vacuum or forceps are utilized during delivery it may likewise increase the risk for shoulder dystocia. In shoulder dystocia cases, often the staff is not adequately trained or informed as to their own specific duties as the problem arises during delivery. The experienced medical malpractice attorney's investigation should include determining whether the nurses realized when to apply pressure or utilize the McRoberts maneuver. Similarly, the facility should have a pediatrician, anesthesiologist and another obstetrician available for difficult births. It is important for the obstetrician to immediately recognize the shoulder dystocia issue when it presents during delivery. Most experts suggest that the window to avoid shoulder dystocia is between 4 and 6 minutes. In the event the baby's head retracts and causes the cheeks to bulge, that could be a sign of dystocia, Similarly, once the head does present and a normal amount of traction does not produce delivery of the anterior shoulder, the physician should be concerned immediately. Once either of these problems is encountered the obstetrician should stop the normal deliver y process and proceed with different measures including the McRoberts maneuver, suprapubic pressure or other acceptable techniques in an attempt to avoid dystocia. It is fairly well understood that the obstetrician only has a few minutes to resolve shoulder dystocia before significant neurological injury become problematic. One of the things that can contribute to shoulder dystocia is when the obstetrician continues to apply traction to the head when the shoulder does not come out naturally. Rather, when this occurs, the physician should immediately attempt one of the acceptable maneuvers to free the shoulder. Applying fundal pressure can actually complicate the delivery and can cause further damage to the fetus and the uterus of the mother. An experienced medical malpractice attorney will know what to look for in the medical records in order to provide opinions regarding the viability of a malpractice claim. 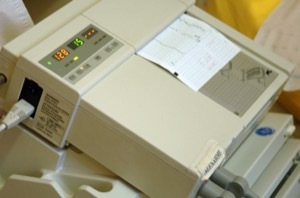 The malpractice attorney will attempt to determine when and how the dystocia was first diagnosed, which shoulder presented itself during delivery, the force applied by the obstetrician, the methods, attempts and times utilized to mitigate the dystocia, the condition of the baby at time of delivery, Apgar scores, descriptions of all injuries recorded in the record, intervals of time between each significant action during delivery and any comments made by attending physicians, staff, nurses, anesthesiologists during and after delivery. Another type of brachial plexus injury is known as Erb's palsy or brachial plexus palsy. The brachial plexus is a network of nerves that allow movement and sensation to the fingers, hands and arms. Erb's palsy is caused by traumatic injury to the upper brachial plexus. Often this is caused during forcible delivery of a baby. The typical signs include loss of feeling in the arm and paralysis or atrophy of the muscles of the arm. Essentially the mechanics of injury involve the over stretching of one side of the neck during delivery. This stretches the nerves and can tear them as well. There are many types of injuries to the brachial plexus that are possible during birth. For example, the nerves can be torn near the spinal cord or from the spinal cord, scar tissue can put pressure on the nerve or the nerves are damaged but not torn. Combined, these injuries are known as neurapraxia. An experienced medical malpractice lawyer will know what to look for to determine if this type of injury is involved in a case. Usually a newborn will show an Erb's Palsy injury by having his/her arm straight down and perhaps slightly turned. Mostly, the arm will not be moved. These injuries are not necessarily permanent as some babies do recover. However, the catastrophic cases do not recover and that is when an experienced medical malpractice lawyer can be of assistance.